Discover and investigate animals, aquariums, zoos, and dinosaurs with this Elementary Zoology curriculum for only $48.15 at Educents. Just use coupon code FHD10 at checkout. That’s over 40% off the regular retail price! This creation-based curriculum is perfect for homeschooled kids at learning levels grades 4th to 6th grade. It’s also an ideal supplement for families or classrooms who frequent zoos, aquariums, and other outdoor educational experiences! If you don’t already have one, create a free account with Educents here. And don’t forget to use the exclusive coupon code FHD10 to take an additional 10% off all Educents orders! 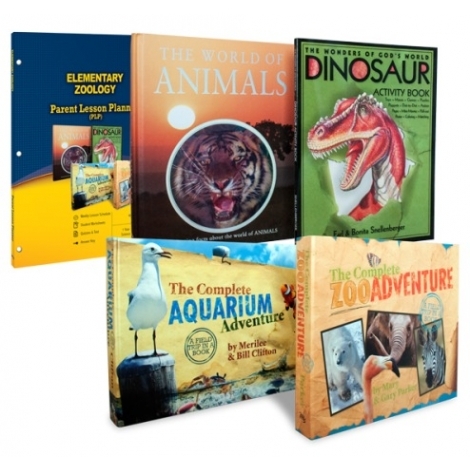 Click here to see the full Elementary Zoology curriculum deal!